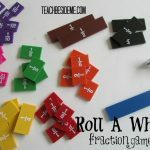 Math games are some of my favorite things to add into our homeschool. I like to find new ways to make math learning more fun. I think I do this because I dis-liked math so much growing up that I want to show my kids that it can be fun and interesting. Maybe this will help them to not hate it! 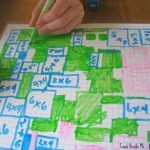 I made a new game this week called Three in a Row- a math grid game. We’ve been having fun playing it over & over again this week. 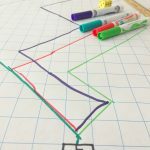 It helps kids learn graph coordinates. The concept for this math game is simple. There are 2 players. Each player has little markers that are different from each other. We chose to use coins, but you could use any small items. 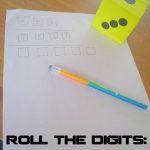 A player rolls the pair of dice and places the marker in the intersection of the two numbers. There are 2 options of where to place the marker. If one is taken, they have to use the other spot. If both spots are already taken, they lose that turn. Once someone gets three pieces in a row, they win! Fun & easy! I played this with 2 of my kids (ages 8 & 6) and both loved it! 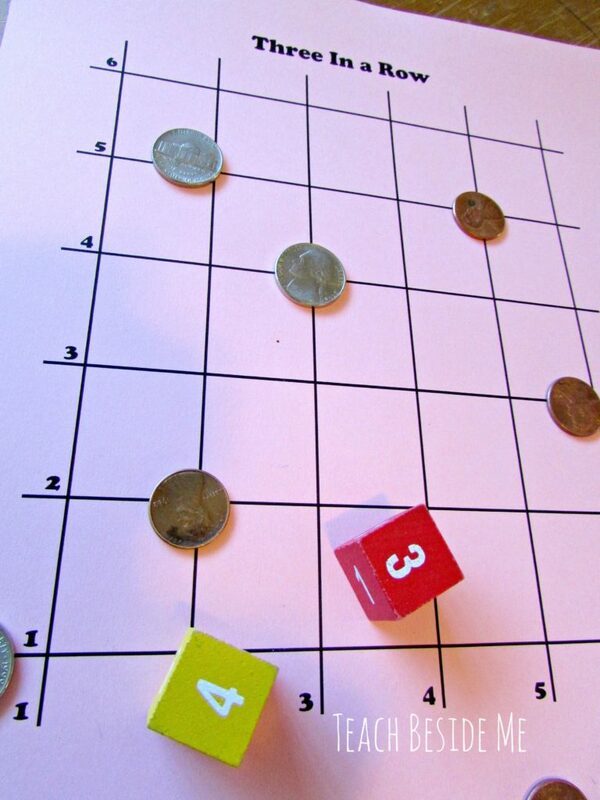 Download your own free copy of Three in a Row- math grid game by clicking on the link. lol…I love math! 😉 I also love fun math printables!! I pinned this to my (CarlaINHouston) Free Printables!! board! Thanks for sharing it!! Anything that makes math fun! Love this — pinned! What a great idea! I’ve pinned this to my Math Fun board 🙂 Thanks for sharing!